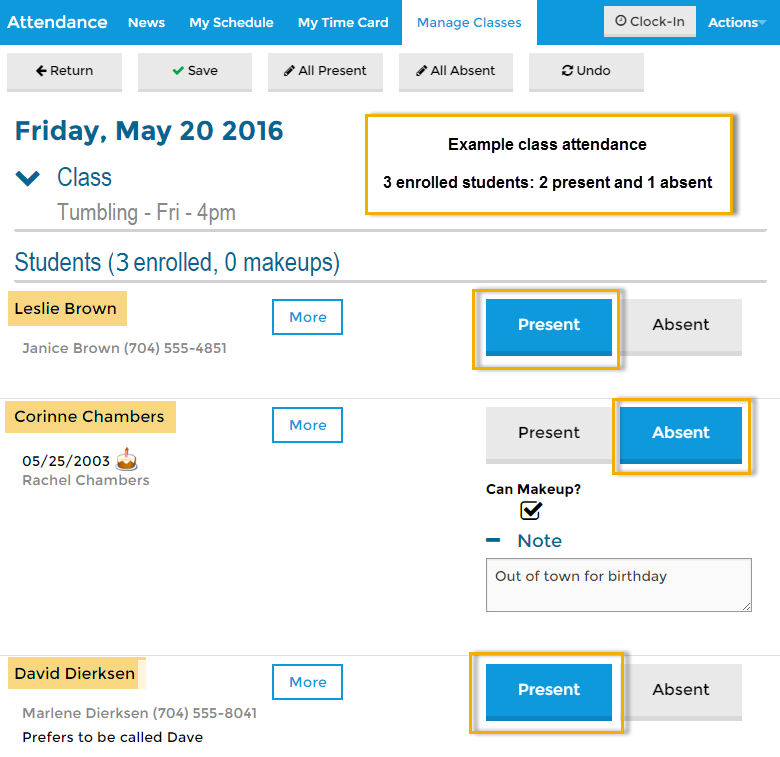 When your database is set to track absences, you will find the Absence-Makeups report under the Reports menu, in the Families/Students category (Students tab) or Classes/Enrollment category (Attendance tab). Several filters are available to select which classes you want to look at. 1 student absent: Corinne Chambers. With a class max size of 3 we can determine that with 1 student absent, 2 students were present.